Like most ethnic groups, each village is led by a leader in the community who is well-versed in the affairs of the village and is someone trustworthy. Interestingly, it is said the Stiêng count their age according to the number of harvests they have gathered. 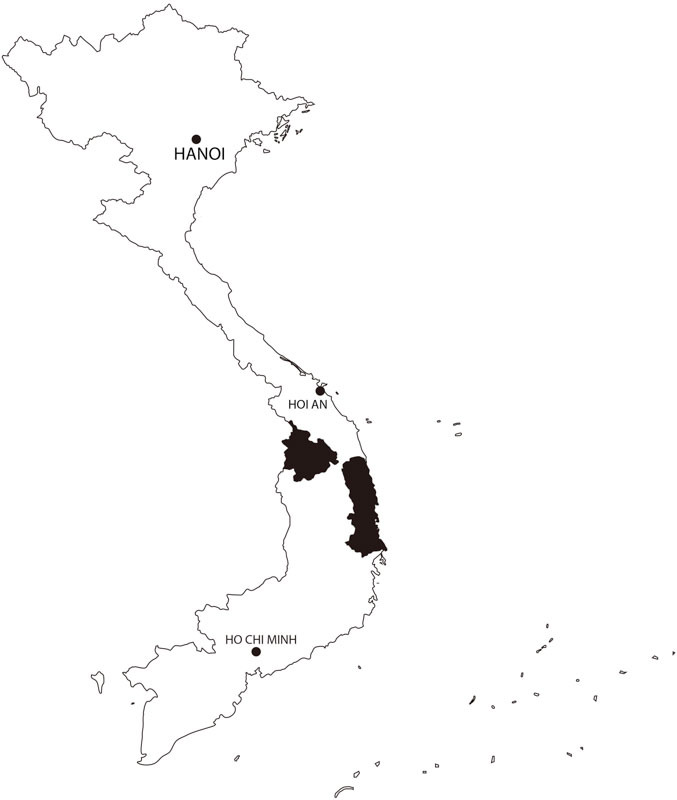 When I visited the Stiêng village near Hồ Chí Minh, I spent a whole day exploring. The people were very warm and friendly but I was surprised by how hard it was to find a full original costume. 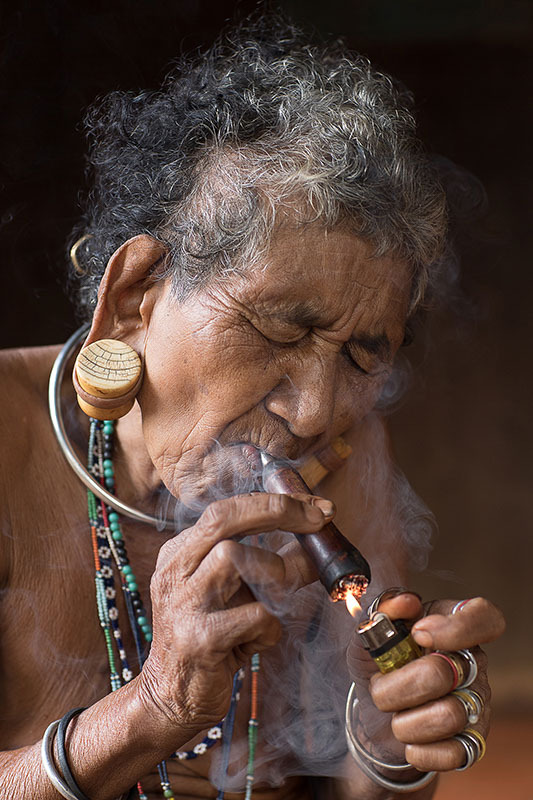 The older women, who love smoking pipes, only wear skirts with no top and adorn themselves with beautiful beaded jewelry and rings on almost every finger. They also wear ivory in their earlobes, much like the Mnông and Brâu ethnic groups. The younger women tend to wear modern clothes and I couldn’t see any children wearing the costume, so I don’t know for sure if they even exist. You can see this pipe on display in the cabinet.